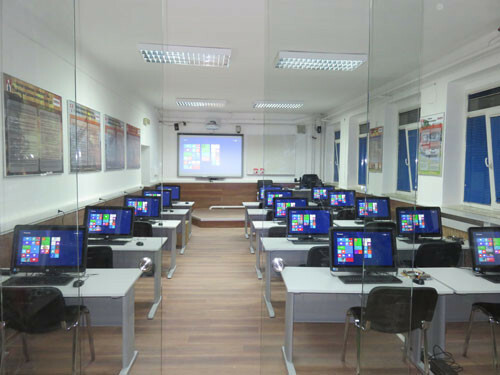 The class is divided into two parts by a glass wall. 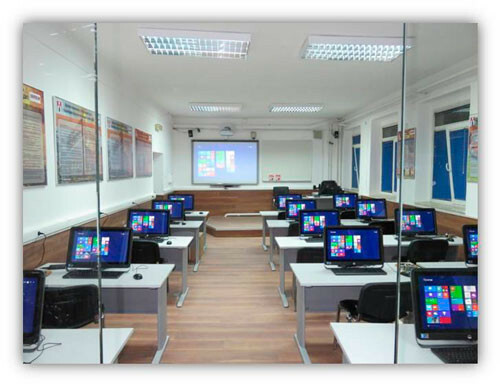 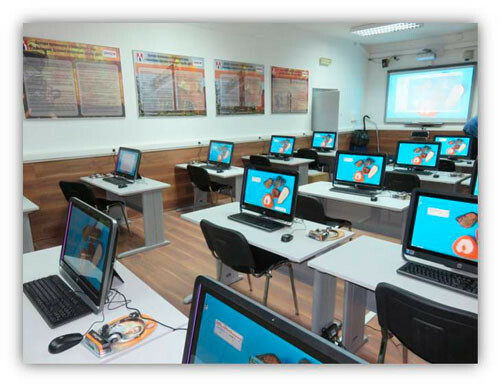 One part is for theoretical training, with monoblocks, interactive whiteboard, ultra short-throw projector, MFPs and document - camera. 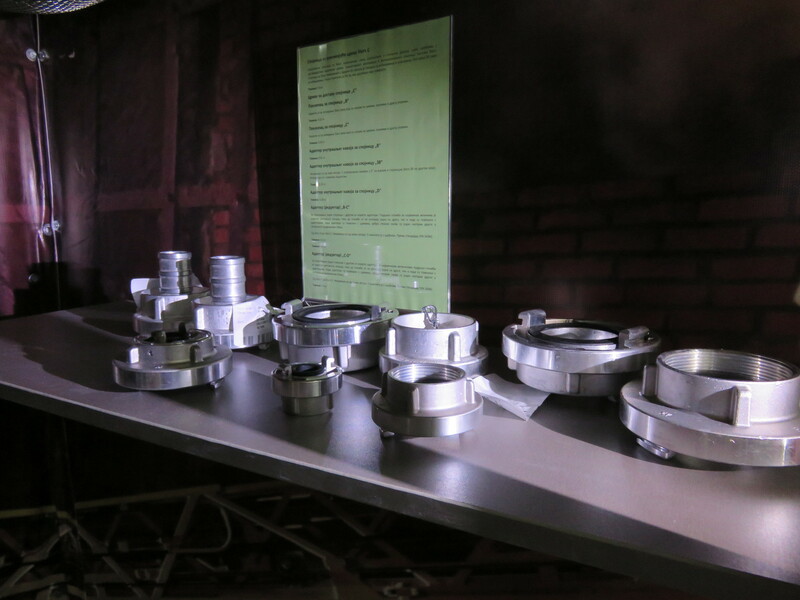 The other one is the practical part. 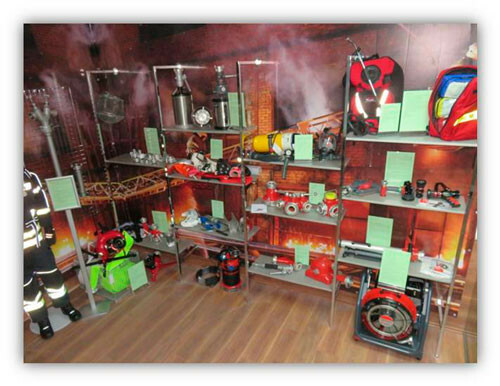 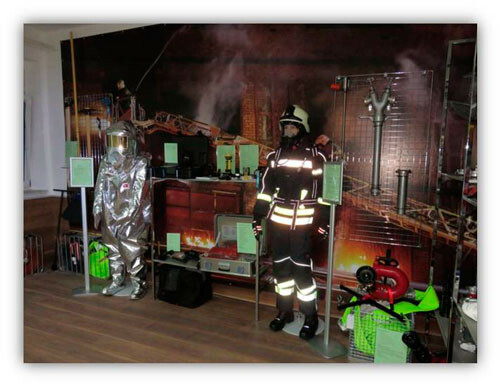 It is equipped with components used in firefighting, shows personal protective equipment, clothing of firefighters. 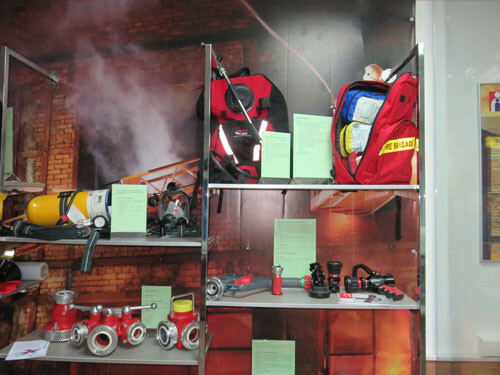 Class allows students to get their first experience with the equipment.